Internship experience plays a vital role for every student to implement their theoretical knowledge and get a practical knowledge from any organization. For completing my BBA degree internship report is one of the parts at the final semester of Department of Business Administration, Northern University, Bangladesh. Crystal Agencies gives me the opportunity for gathering practical experience and preparation of the report. Authority of Northern University (NUB) assigns me to find a company for my internee and I also get opportunity to the Crystal Agencies. CA advertised the job opportunity for BBA holder then I was sent my CV and they called me and take my interview and finally I got this job. Finally I prepared this report under the supervision of Jannatul Mawa Nupur, Lecturer of Northern University, Bangladesh. Department of Business Administration. I am the student of Business Administrative as a fulfillment BBA degree I have to a complete an internship report. My honorable supervisor Jannatul Mawa Nupur assigned me to prepare this report on “Marketing Performance Analysis of Crystal Agencies: A Case Study on ECR Machine” This had the formal approval of my supervisor of Business Faculty. This report is prepared based on the qualitative research.  To gather knowledge about the production system of the company.  To know the status of chemicals market of the company.  To know about the company and its distribution mechanism of Crystal Agencies.  To gather knowledge about the strategies of marketing mix of Crystal Agencies.  To analysis the production strategies of Crystal Agencies.  To find out some practical experience about chemical sales structure of the company.  To know management system of this company.  To identify supply chain of the company. Human right agencies, social development agencies, and the other organization who are working for the socio-economic development can use this report to get overview about the social compliance issues of the Electronic Cash Register. New venture and the group who consider starting this business and others related business can use this report for, knowing what are the compliance issues in the Electronic Cash Register, execution of development, application of business strategy and what will be important issues to survive in the ECR market. Once a company has decide to go international, it has to decide the degree of marketing involvement and commitment it is prepared to make. These decisions should reflect considerable study and analysis of market potential and capabilities this report some how help them. The competitor of the electronics company can use this report to gain experience and know how to change strategy and tactic gradually. all Hotel, Restaurants, Fast Food, Sweet Shops, Furniture Shops, Beauty Parlors, Community Centers, Shopping Center, Departmental Stores, General Stores, Another Big and medium Shops. For the above reason this report is initiated as a part of my internship program and that will help for my graduation form the Department of Business Administration, Northern University, Bangladesh. The internship report plays a good role for me of Bachelor of Business Administration, because that gives somehow practical experience to implementation of the theoretical knowledge. Without adopting proper methods it is difficult to conduct a successful research. The optimum outcome of the research depends largely upon the adopting of the proper methods suitable to the research topic in the field of investigation. To prepare this report I mostly depend on the experience and secondary data beside this I also use primary data. Company Insight, advertising, Catalogs of the Company brochures, books, reports etc are the source of secondary data. Based on this information I prepare this qualitative report because it was having an unstructured exploratory research methodology based on observation for providing insights of the report topic.  In-available information related to the report as not so big company.  Improper knowledge on technological know how.  For time and cost constraints, the duration of the study was very short to know all the activities of this company.  Lack of knowledge about ECR company.  Difficult to take information form the respondent and fill questionnaire. Crystal Agencies was established in 1995 under the provisions Bangladesh Import and Export companies Act 1991. Md. Wali Ullah is founder Chairman of the Crystal Agencies in 1995. A widely traveled person, he carries with him twenty years of experience in Electronics Products, marketing. He built into one of the biggest & leading industry in Bangladesh. Crystal Agencies is one of the biggest, reputed and leading Importing Company in Bangladesh since 15 years. We are doing Indenting, Importing, Marketing, Industrial parts. More about us we are a strong marketing company. Have introduced several products first time in Bangladesh in many countries. Have branches in the main cities for securing maximum business. We are customer focused with help of our well trained and highly experienced sales staff we are capable of delivering on time and have a long list of satisfied customers. This organization is one of the most disciplined organizations with a distinctive culture. People here believe in shared meaning, shared understanding and shared sense making, they can see and understand events, activities, objects and situation in a distinctive way. They mould their manners and etiquette, character individually to suit the purpose of the and the needs of the customers who are of paramount importance to the company. The people in the organization see themselves as a tight knit team that believes in working together for growth. The culture they belong has not been imposed; it has rather been achieved through their cultural conduct. I choose a company guided by the international marketing orientation that is ECR sectors. This sector play vital role in sector of business of Bangladesh. Crystal Agencies is a renowned name in the electronics company; this company is one of the leading electronics company. The company is fully committed and involve in international marketing activities. CA Electronics Company seeks markets for total Bangladesh.. The company want maximize profit by providing competitive price and transparent business operations within the legal and social framework. To be the best Organization in Bangladesh in terms of efficiency, capital adequacy, asset quality, sound management and profitability having strong liquidity.  To ensure quality of the products.  To maintain the delivery just in time.  To satisfy the customers needs and wants.  To achieve more orders from the Customers.  To follow the highest ethical standards.  Total committed to the needs of customer.  Preserving the company’s leading position in the national market of import side.  Continuous improvement of all work process. The main activities of the company are to sale of product. Despite of the stiff competition in the market the company availed to maintain its increasing growth tendency as well as market leadership. It is also another great pleasure to mention that company is always tried to contribute in every aspect in the development of the country. During the year contribution in the well being of the nation, company organized directly and in same cases by provided the financial and technical support to help the society through the development of education, environment, sports and cultural sector of the nation. The marketing sector is very important part of any organization because after producing products the next activities come for marketing division such as how to market the products, how to create the awareness based upon the specific branded product to the consumers mind. But CA importing for all products, as a marketing student I have chosen the marketing division of Crystal Agencies for my internship program. At first as sales activities manages have to maintain their daily sales. Then they have to forecast their next days sales based on the daily sales and they also have to think about the targeted sales. Another main duty of the managers is to monitor the dealers. 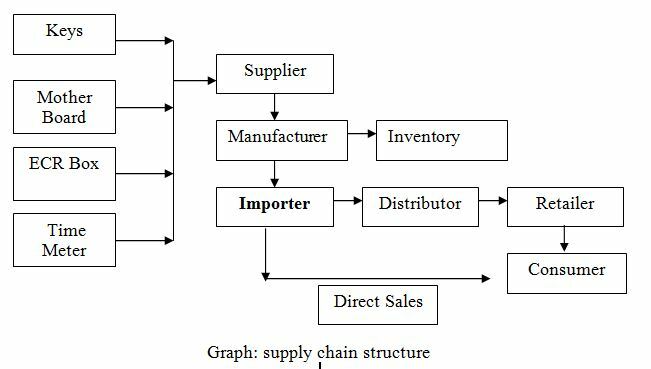 The supply chain structure of Crystal Agencies (CA). Crystal Agencies (CA) is an importer and they importing ECR from Europe (Bulgaria). We sales our products for two ways direct sales and non direct sales. Non direct sales means we sale our product in distributor basis then distributor sale this product retailer then consumer use this product. Direct sale means we importing ECR and sale this product direct consumer basis our marketing and sales team. We offer point of sale equipment, along with Cash Register Manuals, ink ribbons and ink rollers. We offer cash registers from Daisy. All of our products are made in Bulgaria our point of sale equipment products include Metrological scanners, Epson and Daisy point of sale printers, MMF drawers and inserts, CAS scales, and many other products from several manufacturers. 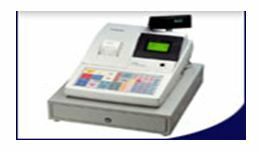 We also offer Cash Register Software, along with paging systems from J Tech, one of the leading silent pager companies in the restaurant industry. Our policy is to offer the best products at the lowest prices, with the best support in the industry. Crystal Agencies Company’s competitive advantages is higher quality lower price, offering more benefit to the customers, those feature differentiate the company from the competitors. Crystal Agencies Company products exist in the market on the basis of it, competitive price, maintain stick delivery schedule and standard quality products. Manager of Marketing and Sales Department leads a team of highly qualified employees and sales executives selected among the high profile young and energetic persons. A group of well-trained people always ensures the smooth operation of machinery and research team will always try to improve the new quality by research and development. Companies set prices by selecting a general pricing approach that includes three set of factor the cost base pricing , value base pricing, competition base pricing. Crystal Agencies company follow competition base pricing so the customers will base their judgments of products value on the price that competitor charge for similar products. Crystal Agencies sometime charge it products price more that or less then its major competitors. Crystal Agencies company advertising strategy consists of creating effective massages and select most effective advertising media to convey messages to the large number of target audience. Crystal Agencies Company public relation strategies consist of product publicity to the target customers, such as create a website, lobbing relation. Lobbing strategy is to maintain relationship with legislators like Government official and agency for getting business relevant advantages. Crystal Agencies Company’s direct marketing strategy consists of direct mailing of the target customer sending an offer announcement. For this purpose company use internet e-mail, fax mail etc. Hours of operation for telephone support shall be 9:30 am to 5.00 pm (Saturday to Thursday). Our product support pages are packed with information to help you learn to use your Crystal products and resolve issues. Click on the Crystal product below to visit its product support page or fill up the Online Support Form givem below. Each product support page contains FAQs, Knowledge Base comprising of technical manuals, E-mail and Phone contact details, provision for reporting a bug in the product/service, provision for participating in technical chats with the experts, etc. Since the intern period was completed under the supervision of corporate office of the Miracle chemical Industries Lid, the SWOT covers in the time of my intern period. The company has strong manpower in its management. For this reason it can take any kinds of decision quickly. They have their own training infrastructure, which is modern, highly technological development and have skilled and experienced trainers. They have arranged the product quality meeting to weekly, monthly and yearly. Top management of any organization is very important. The personnel of top management are highly experienced and skilled. They have covered the 14% market of the product. The Company has weak financial solvency. For this reasons it can not take pace setup big project or can not go any kind of big promotion. The company less promotional programs compared with competitors. But it is impotent to conduct various promotional programs to increase sales and survive in this competitive in this competitive world. Due to economic condition it has to charge high price. As a developing country the illiterate rate is high. So it is difficult to recruit required personnel. The company is on of the oldest company in our country. It always tries to reasonable profit. So fo its quality and price it has good image. Good and initiative Employees want to give effort, which is a greate asset for the company. They can start developers business, as it is a most growing business so they can capitalize this business opportunity. Many such companies are interested on such product. It is one kind’s threats for the company. Now Government does not take action, those who are not using ECR. Political environment are come for this product. Inflation and slow growth of the economy. Rate of dollar rapidly change. Crystal Agencies Company follows the national law and chemical industry standard working hours. Crystal Agencies Company dose not provide any compensation to cover the living standard expense. Crystal Agencies Company sometime dose not able to pay the worker salary in proper week time schedule for this reason workers are dissatisfied. Company always prepared to pay compensation for insured workers. No child labor allow by the Crystal Agencies Company. such as all Hotel, Restaurants, Fast Food, Sweet Shops, Furniture Shops, Beauty Parlors, Community Centers, Shopping Center, Departmental Stores, General Stores, Another Big and medium Shops. 3. User friendly alphanumeric Display. 4. Choice of external 80Col. printer for both bills & reports. 5. Bar / Kitchen order ticket printing. 7. Separate bills for – Bar-Food with separate summary. My department of internship program is under marketing department. So I am fully involved in marketing department. But I have to know about whole organization’s work so that our management put us on every department for several days. For this decision of management I am very happy because I know every department’s function clearly. Every day I have to go office at 9.00 am like all there employees and stay up to 5.00 pm. Some days my work area is in office and some day’s work was out of office, in the field. Management scheduled me what time I will spend in what department. On those guidelines I stay at various departments at various days and learnt something new everyday. I have learnt many things from this company about office work about Electronics Company’s dealing with customer. I have to learn how to create a customer and the process like that: This is the first steps of sales person. At first sales person gather information about the prospect customer. Then sales person give him a offer letter which contains all business needed condition and rules and regulations. Before giving offer letter the rate and discount and all other factors are discussed with customer. That offer letter contains two parties signature also. That offer letter contains two parties signature also. That offer letter also includes that whether that customer will do business by credit system or cash system. One party is from Crystal: it may be Marketing Manager. And other party is from customer, normally the Managing Director of that company sign there. After completing the sign Crystal Agencies open lo cal Account number and update the Crystal Agencies software system. Now he is Crystal Agencies. One customer and can do business with Crystal Agencies. Customer Follow up: Sales man always have to follow up the existing customer, always have to take care of customer, because Crystal Agencies believe “Customer is the Soul of business”. Building the relationship with the customer. I joined the Crystal Agencies on 1st March as an internee. In this company I worked under the Marketing Manager taking the role of an assistant whose job is to help the Manager by giving information related to the company, completing and checking a document which is supposed to be sent to manager, monitoring or observing overall activities and performance of the workers on behalf of managers as well as making the manager conscious about the difficulties complaints faults related to the various activities and performance of the company. In the company my daily working hour started at 09am and at 05pm. During that time I did not have any organized or systematic duty. Sometimes as an assistant my duty was to observe the different functions of the company. Some times customer faces various kinds of problem. Though some problems made by company are other employee but have to solve by sales persons. Even company knows that for this mistake sales person’s io not responsible but customer tolled to sales persons about the problem. Then we sales person solved it by the help of Crystal Agencies. Employee who is responsible for this problem. One day we received a problem from a customer that his credit invoice, which we provided, is incorrect. Then that called us and tolled us that solve this problem and make accurate invoice. We received that invoice’s number and come to office. At our office we provided it to the billing sector with the note that it is incorrect and please make appropriate invoice for this particular customer. After that day, next day we received the correct invoice from our accounts and send it to the customer directly and said we are sorry and next time these type mistakes will not be happen. There are also some other examples that we went to the customer and customer contact person of the company was not in office. Then we talked to other people of that office and come out. One of my Internee periods we sales person and I were gone to a client visit and when we reached his office, he said that they are not interested to continue business with us. We tired to fine out problem and want to talk about the problem but even he is not agreeing to talk with us regarding problem. But we were still waiting and waiting to talk with him about the problem and near about after one our he called us from waiting room to his room and started to talked regarding the problem. We talked about the problem after some time time he understood that this is not out mistake. This mistake happened due to holiday at product office. The mistake was that his product was reached the destination after to days than the required days to reach destination and when he understood the mater than he said no problem; they will continue business with us. We thanked to him and left that room. I was involved in a project that was like this: One sales person of Crystal Agencies were leaving Crystal Agencies and company rules is, when a sales persons wants to leave then he was to hand over all accounts Client to other sales person or to company and have to introduce alternative person who will deal with the customer on next time. Then another work of leaving dales person is, have to collect a balance confirmation letter Signed by Company which is provided by Crystal Agencies and checked by the customer which letter includes all debit and credit calculation with customer. So when he sales person was leaving Crystal Agencies management sends me to go with him to customer and introduce my self. I was gone to customer with that salesperson and confirmed balance confirmation letter. Then I have seen that customer is always not willing to cooperate us. Some customer don’t want to give the balance is ok but you have to comer next time and collect the balance confirmation receivable copy. Some times when we gone to customer for balance confirmation and introduction my self, we seen that customer are not at there given address. These customers are not doing business with Crystal Agencies from to five months. So there are no good relation relation exit between customer and our salesperson and no communication also. So when we go that address we seen that customer/company shifted to an unknown place without giving their outstanding dues to Crystal Agencies or informing to Crystal Agencies I have done some other official work also. From that now I am explaining some work details Crystal Agencies made revenue analysis sheet or monthly and on individual salesperson basis. From Crystal Agencies I have learned many things about official work, behavior and how to deal with customer. I have learned how to solve a customer problem. I have seen that the management style of Crystal Agencies is democratic because when any decision is taken from the top level it is informed to the lower level for their comment to take. Top managers who are responsible for making organization wide decisions and establishing the plans and goals that are affect the entire organization. Middle level worked as a bridge between upper level and lower level. It conveys the decision to the low level and makes the work done by them. He is operation manager. He also monitors the task of the employee. Crystal Agencies has a small HRM unit to look after the company day to day affairs regarding Human Resources Management planning and control. This unit recruits management staffs only at the entry level manpower’s in the production units. This unit has no sole authority to recruit technical staffs as required for marketing and production units. The technical staffs at the senior level are recruited by the top management of the company. The Marketing Manager goes to all Hotel, Restaurants, Fast Food, Sweet Shops, Furniture Shops, Beauty Parlors, Community Centers, Shopping Center, Departmental Stores, General Stores, Another Big and medium Shops. Also monitor the sr. executive and executive. CA, marketing strategy is to offers superior quality products at a competitive price with maintains strong quality control system. Crystal Agencies also tries to maintain total quality management to keep the continuous growth of the organization. They want to be a marketing challenger in the chemical markets industry. Their other marketing strategy is to capitalize on opportunities and face challenges through modification and tactical marketing tasks. Crystal Agencies has strategy for development of product and use of modern technology. Marketing strategy in establishing seal of quality organization or similar organizations to ensure quality of products items in required cases. Provide market intelligence to producers and exporters on product demands and prices in markets abroad. 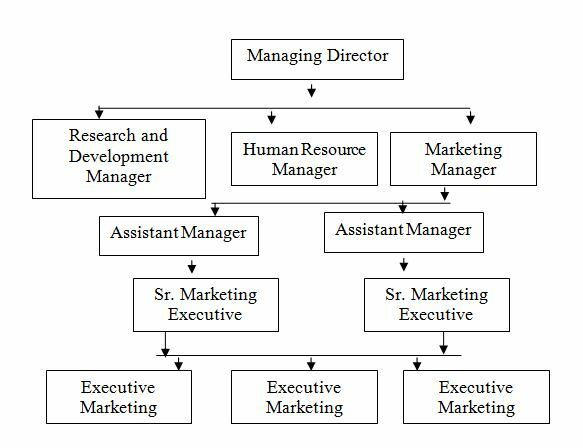 Marketing information system consist of people, equipment, procedures to gather, analyze evaluate and distribute needed timely, and accurate information to marketing decision maker. Crystal Agencies Company records all information up to customers order to payments schedule. The company use electronic device to record information. Crystal Agencies regularly records the information of sales, cash flows, production schedule, shipment and inventories history. Crystal Agencies Company collects information from the different secondary sources such as website of the competitors, customers, and Govt. statistic, journals, from the marketing both micro and macro environment. For developing marketing strategies, decision making, trace the competitor action. Crystal Agencies Company is not a larger company and they also have lacking of finance so they don’t conduct any for mat studies of specific situation. Crystal Agencies Company always tries to maintain a good relationship with the high valued customers. For this reason the capture information from the order website visits, payment interaction, sales force contract. Crystal Agencies Company target all Hotel, Restaurants, Fast Food, Sweet Shops, Furniture Shops, Beauty Parlors, Community Centers, Shopping Center, Departmental Stores, General Stores, Another Big and medium Shops. Because NBR says first targeted this shops. Crystal Agencies company identify the following competitors are compete extensively. South Link Worldwide Ltd, Aclas, Paswa, Datex, Casio, Others, so on. Crystal Agencies Company assess objective, strategy, straight, weakness of the same level company and try to capture strategy and philosophy and remove weakness as possible. Crystal Agencies Company does not provide any safety training for the existing workers or for the newer assigned personnel. Crystal Agencies Company provides enough light in the workplace and has well ventilated work environment for the workers. The Company provides well temperature workplace for worker and very conscious about a good working environment and hygienic clean water for workers. Crystal Agencies Company dose not set standard waste management system. Crystal Agencies Company dose not maintains a high disciplinary organization rules. Crystal Agencies Company does not use any physical punishment, mental and verbal abuse for any types of fault occurred by the workers.